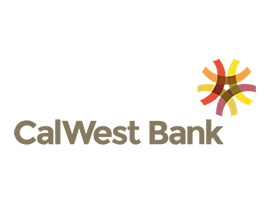 The CalWest Bancorp family of banks is headquartered in Irvine, California with additional branches in Rancho Santa Margarita, Huntington Beach and Redlands. CalWest Bancorp is a business bank strongly committed to the communities they serve and their customers, who are their number one priority. With unparalleled service, they provide products and solutions that empower their customers to achieve their goals. CalWest Bancorp strongly believe that banking is a business of relationships, they view every customer as family and the community they operate in as home. Team members offer customers not only professional integrity, but also the power of creative solutions to meet a wide variety of unique business needs. At CalWest Bank, safety, convenience and a fair return on your savings are paramount to ensure your financial peace-of-mind. The personalized approach ensures you’ve got a helping hand. CalWest Bancorp offes a variety of cash management solutions to meet the needs of today’s 24/7 world. Whether in the office, at home or on the road, thier online banking lets you manage all your accounts, make critical financial transactions and access a wealth of financial data at your fingertips. Contact the friendly folks at CalWest Bancorp at 1200 California Street, Suite 100 Redlands, CA 92374 or call, 909.583.9150, Monday-Friday, 9:00 am-5:00 pm. Log onto CalWest Bancorp at www.southcountybank.com.